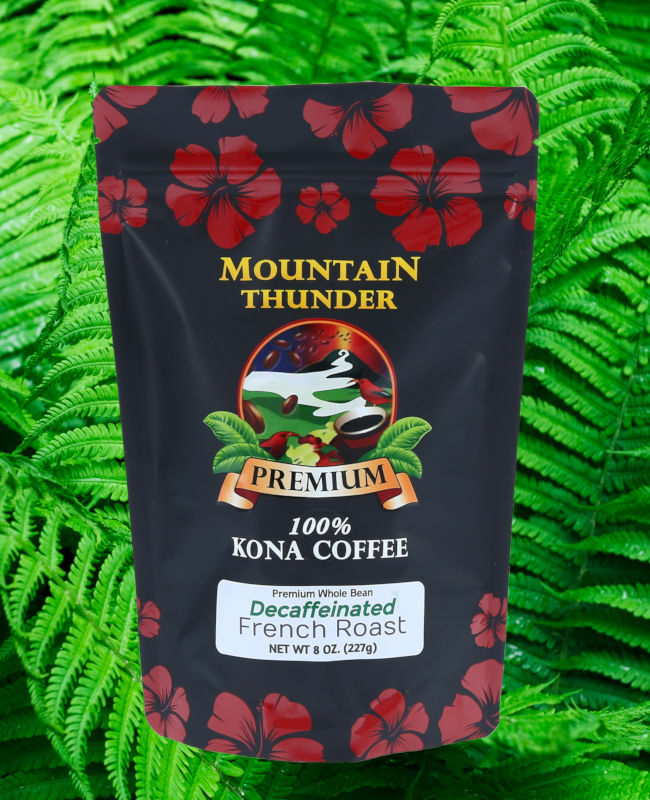 For lovers of gourmet Kona coffee, we are offering our CO2 Decaffeinated Kona coffee. The CO2 process naturally and gently removes the caffeine from our 100% Kona coffee beans. Other decaffeination processes use chemical solvents to remove caffeine from the green coffee beans; our process is 100% natural and maintains the unique flavor profile of Kona coffee. Available in our expertly roasted French or Vienna Roasts.